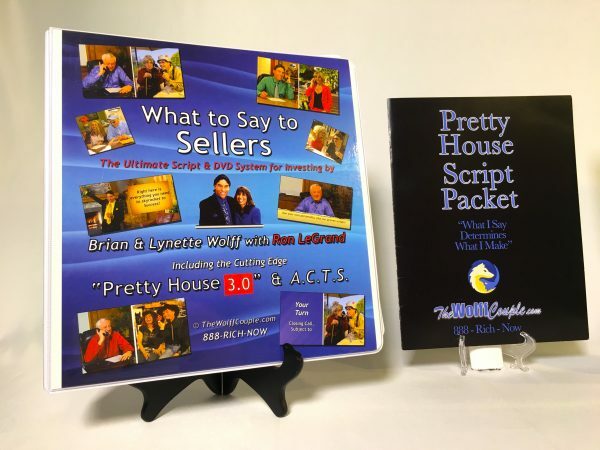 The Best & Only Script and DVD Role-Playing System for Real Estate Investing, from the Wolffs and the Godfather of the House Flipping Business himself, Ron LeGrand! 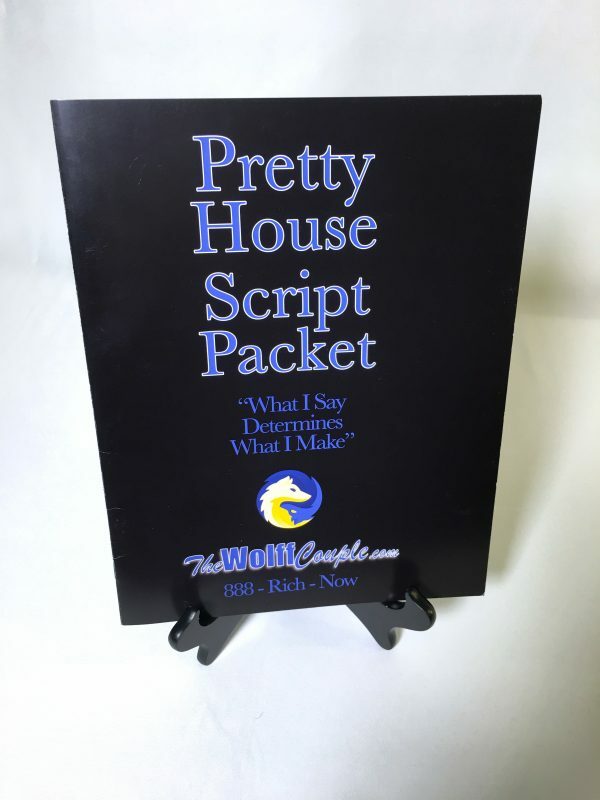 Every word and detailed system you need to make big money in your home market! To succeed at anything, you need to understand the Basics. 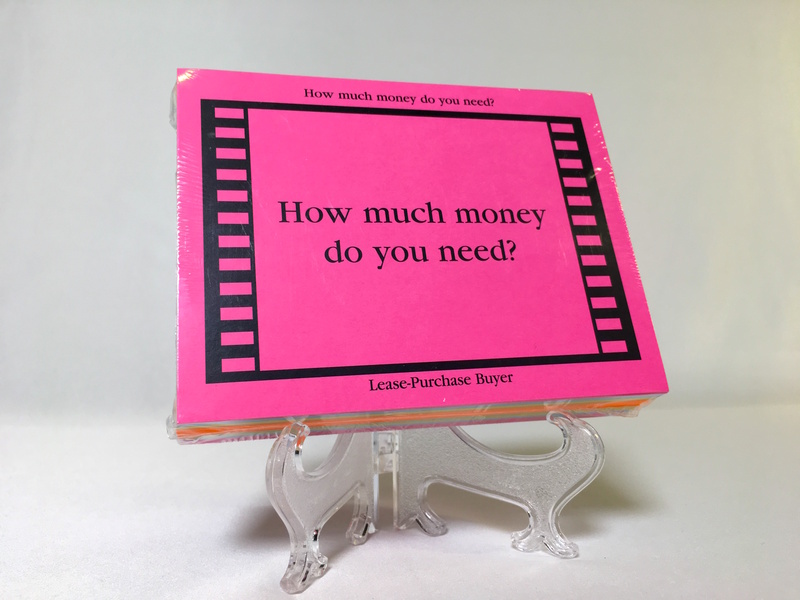 When you understand the Basics in Real Estate Investing, you earn huge paychecks! The 2 Real Estate Investing Basics are 1) Scripts, and 2) Systems. 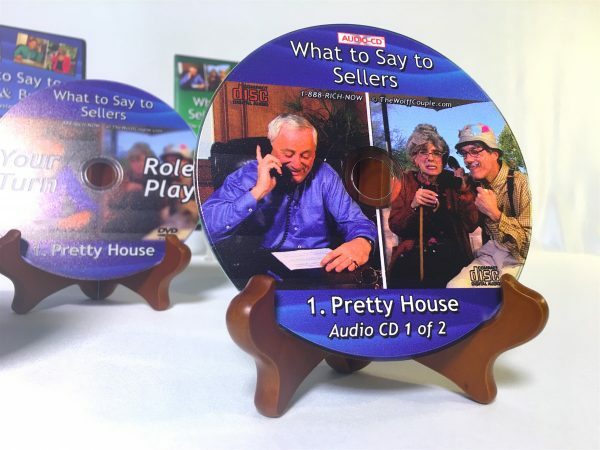 When you use the right words through proven Scripts, Sellers and Buyers say “Yes!” When you use the right forms and checklists through detailed Systems, you get deals closed! That includes “No Money Down, No Credit” deals. 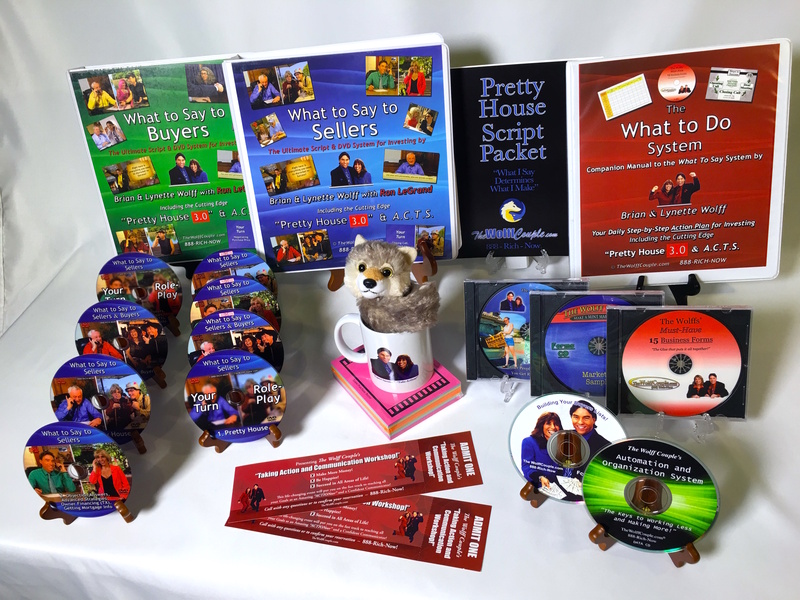 All the Scripts and Systems you need to succeed are here in this one amazing package. Our students who now close multiple deals monthly all started with this breakthrough System, it has a 15-year history of creating success stories! Regardless of your experience, it’s designed to take you from your first step all the way to your ultimate investing goals. 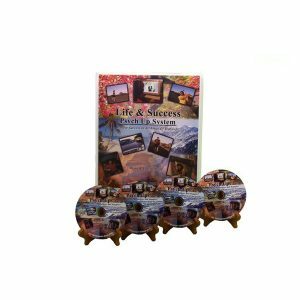 What makes this System so unique is how comprehensive it is. 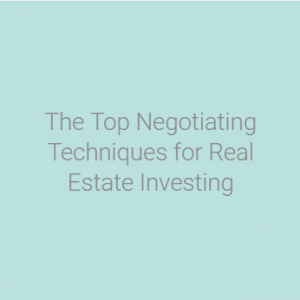 It doesn’t cover just one strategy, it trains you in-depth on EVERY TYPE OF DEAL. It starts with Pretty Houses and Lease Purchases, then takes you through Wholesales, Rehabs, Sweat Equities, Short Sales, Assignments, and even Cash-Out Options. It truly is a One-Stop Shop! 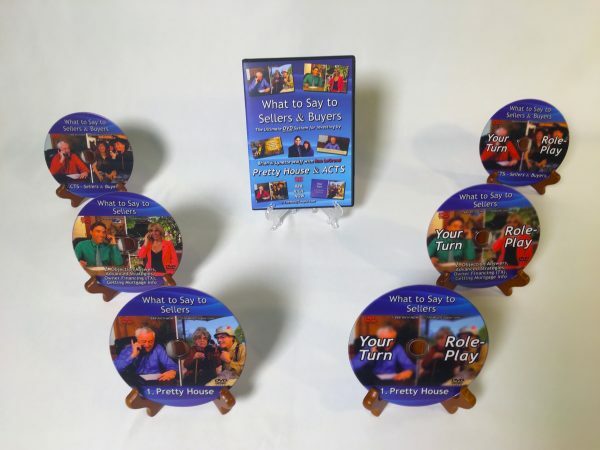 You’ll never again miss out on a deal because you didn’t know what to say or what to do to close it. To understand the Basics (and Beyond), you want to learn from the very best. We learned the smartest strategies from the “guru to the gurus”, Ron LeGrand! Ron’s been in the business over 35 years, and he’s trained over half a million investors. 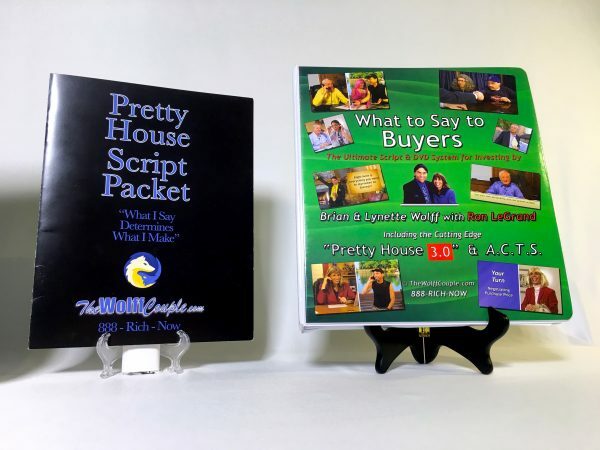 We teamed up with Ron to create these Script Manuals, and we got him to reveal to us (and now to you) every word he’s ever said to every type of Seller and Buyer! Nowhere else can you find all of the Master’s exact Closing Call Scripts, Objection Answers, and money-making Negotiating Lines. 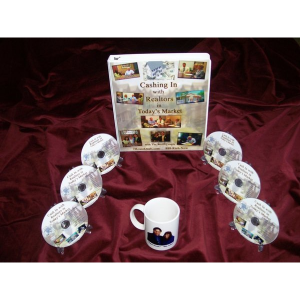 The System’s truly ground-breaking feature is the powerful collection of Role Play Videos. You actually get to watch Ron LeGrand and us acting out every scenario, so you’ll be prepared no matter what come up. Now you can actually learn the greatest investing strategies and best words to close deals right on your own TV or Device! 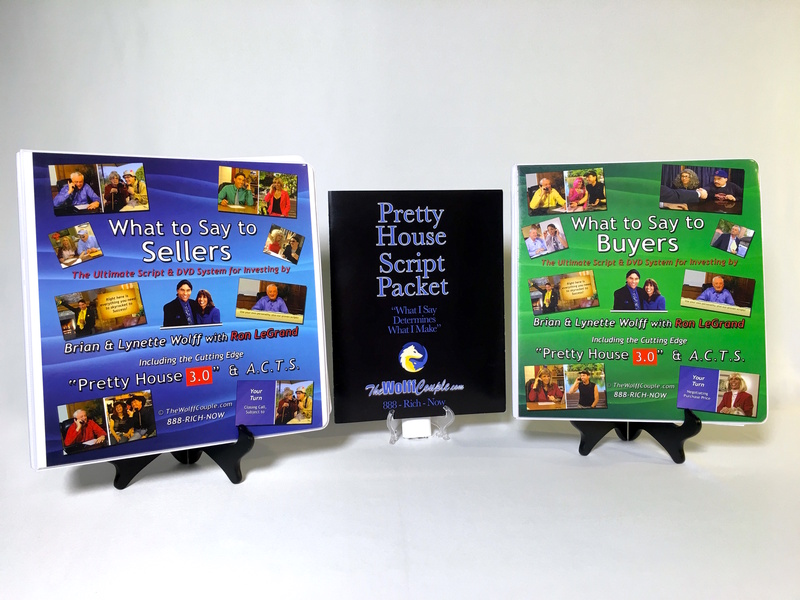 All these vital Videos are available on our special Members Website, so you can watch them anyplace and anytime (like right before you go into a Seller’s house). There are even groundbreaking “Your Turn” Videos, so you can practice Role-Playing the actual Scripts with our TV characters. You’ll also learn all our money-making secrets fast from the very special sections, “Brian’s Key Points”, and “Ron’s Key Points”. You’ll start off with our detailed “$30K in 30 Days Plan”, and take off from there! Our incredible Bonuses include our “Automation & Organization System”, which gets your business running on Auto-pilot from the first day. 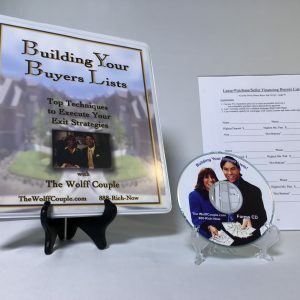 You’ll get handy color-coded Objection Answer Flash Cards, and also the Wolff-LeGrand Real Estate Investing Dictionary (12 years in the making and filled with every term you need to know). 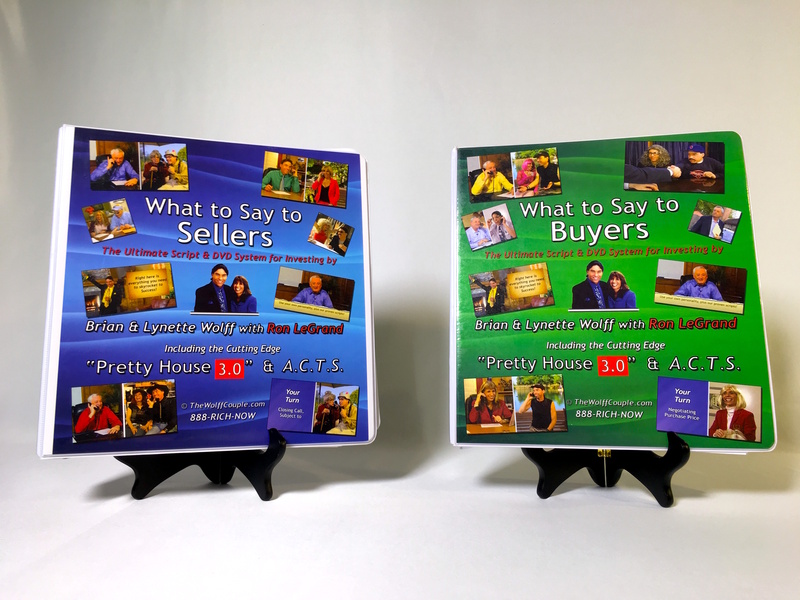 We also throw in our proven Marketing Samples, so you can find more motivated sellers than you can handle. Another HUGE Bonus is our “Taking ACTION Workshop”, simply the fastest path to success in ALL areas of your life. Tickets to this event cost $1497 per person, but 2 Admissions come FREE with the System! Last and maybe most important, you are officially a “Wolff Pack Member for Life!” You get your own Access Code for the Member Website, you join our addictive “Teaching Tuesdays Conference Calls”, share our “Facebook LIVE Thursdays”, and generally get special treats and treatment! 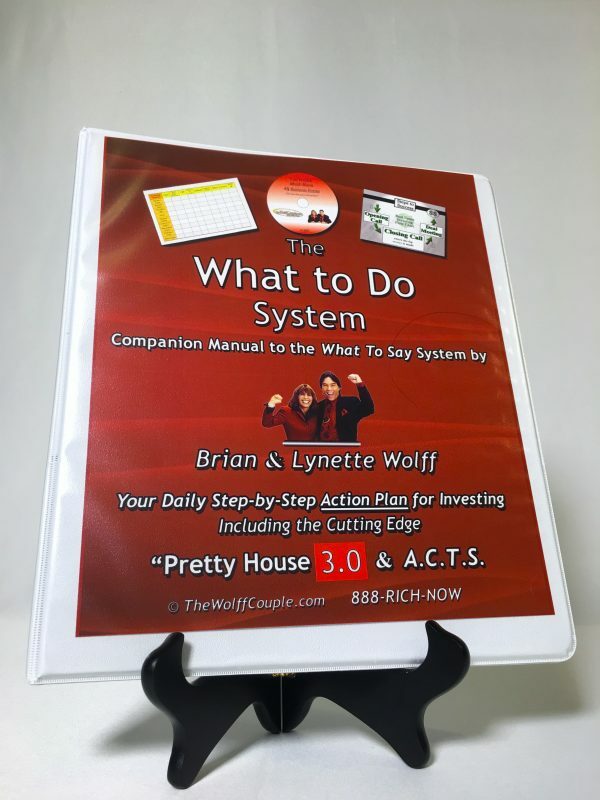 The System comes with a 30-Day Money-Back Guarantee, and FOR A LIMITED TIME we are throwing in a One-on-One Strategy Session DIRECTLY WITH Brian and Lynette themselves! PLUS best of all, do a deal within 90 days, show us proof with a testimonial letter, and we’ll REBATE your entire cost (and you keep the System)! 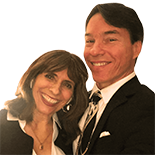 We’ve been so blessed since we met Ron, we are willing to do whatever we can to get you going and be a blessing to YOU! Unfortunately , the 90-Day Rebate Program and the 60-Minute Strategy Session with the Wolffs are both Limited Special Offers ONLY. When the few remaining openings run out, the opportunity is over. Space is also limited in our awesome “Taking ACTION Workshop”. TAKE ACTION NOW so you get all 3 Special Offers, on top of the best System ever created for Real Estate Investing!